It was a busy weekend as we celebrated the patronal festival of our parish. On Saturday twenty-eight children from St Aloysius' School made their first Holy Communion, and then a further six children on Sunday at the half-past-nine Mass. 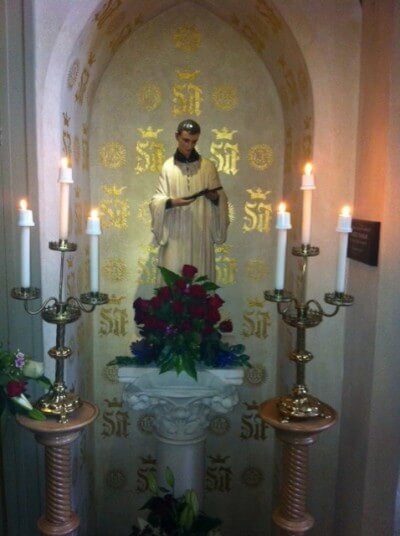 Fr James Hanvey, S.J., the Master of Campion Hall, came to preach at the High Mass on Sunday, and delivered a really beautiful sermon about St Aloysius. He promises that he will type up his notes within a few weeks, and then we hope that the sermon may be seen here on the website. After Mass, there were further celebrations in the Parish Centre.